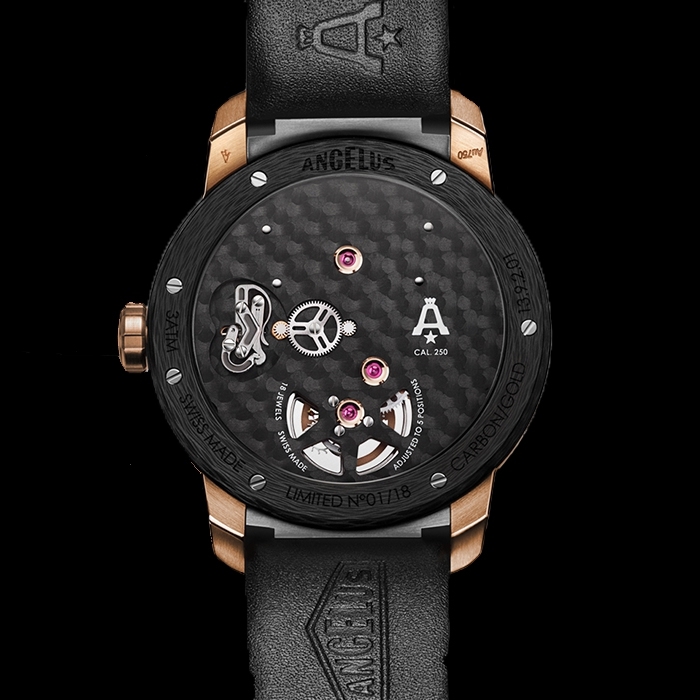 Angelus | 52'700 € Tax inc. 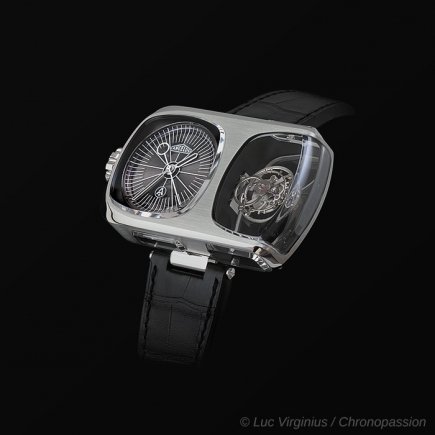 The goal with the U21 Tourbillon is to present the essence of the movement by removing any superfluous material. What seems to look deceptively simple to achieve requires great artistic vision and engineering prowess. The more material that is removed, the more the structure of the movement has to be carefully calculated to ensure rigidity and sturdiness for a maximum precision. 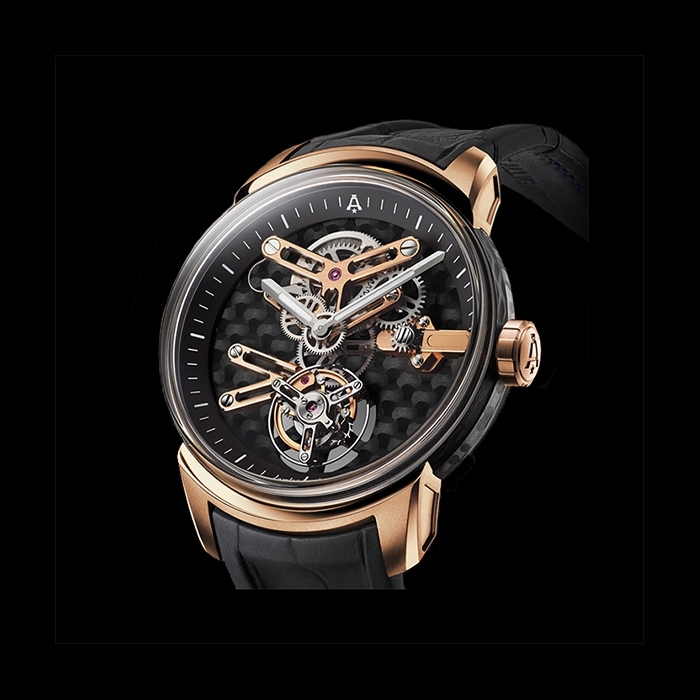 The carbon fiber used in the U21 Tourbillon is very specific, offering the essential characteristics necessary for use in a haute horlogerie timepiece, with tolerances in the micron range. They are not decorative elements, but 100% functional. 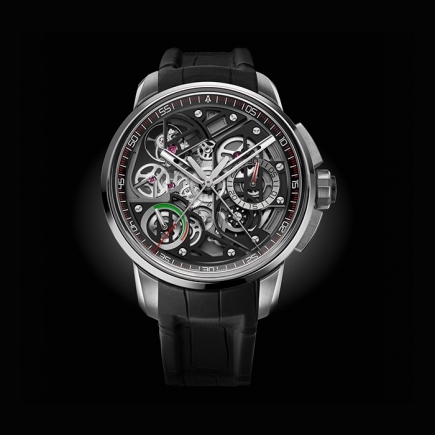 The heart of the U21 Tourbillon is the flying tourbillon. 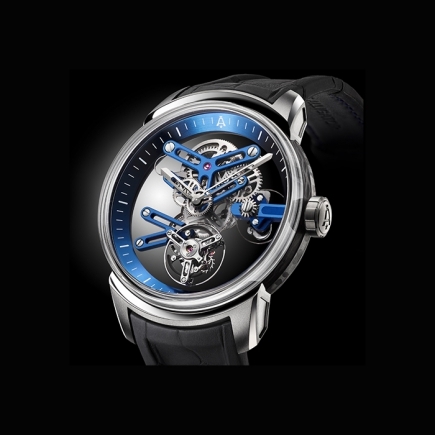 The tourbillon is “flying", which means that it does not require an upper supporting bridge. 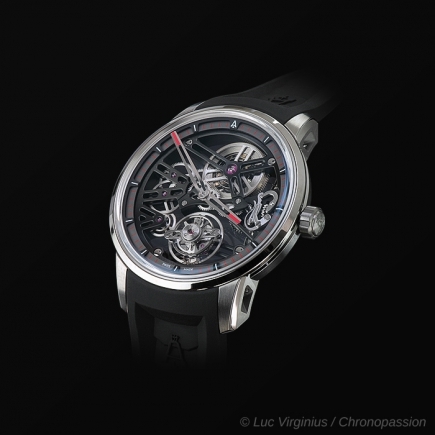 This helps to maximize the three-dimensionality of the movement and allows maximum appreciation of the technical and aesthetical refinements throughout the movement. - Satin finished with chamfered and polished solid gold 18-karat red gold bridges.